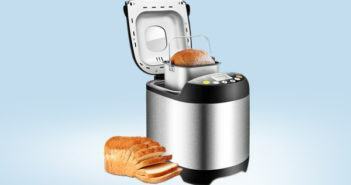 You are at:Home»Equipment»Category: "Bread Machines"
Welcome to our Bread Machines portal. Here we review the latest automatic bread makers from popular brands such as Zojirushi, Breville, Oster, Cuisinart and more. These machines are capable of producing delicious loaves of bread, with only half of the work required! Visit our comprehensive Best Bread Machines guide for the latest Editor’s Picks!